Nicole Hernandez was supposed to reunite with her dad and other family in Puerto Rico this week for a family cruise. Then the hurricanes hit -- first Irma at the start of September and then a crushing blow from Maria last week. Her dad is OK.
"He said, 'We wants to stay, we wants to help rebuild.' But he said if gas doesn't become more available, things are going to get worse,” says Hernandez. She is the founder of Puerto Ricans in Action, an L.A. nonprofit that formed just last year to raise the profile of Puerto Ricans across the Southland. The group established a GoFundMe account that as of Tuesday already had raised nearly $26,000. The group is also mobilizing a small but close-knit network of Puerto Rican restaurants, shops and other businesses to raise money and gather donations for residents. Like most everyone else on the island, Hernandez’ dad has no electricity, limited water and a finite supply of food. Stores are reopening but basic supplies are tight. "He asked for bread, bring bread. For my grandmother he asked, 'Can you bring us diapers and a hand-crank radio,' " says Hernandez, speaking by phone during a lunch break at work. 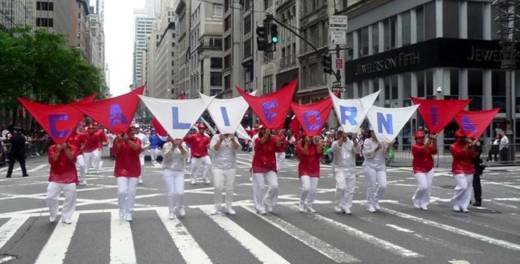 A South L.A. organization that sponsors the annual California Puerto Rican Parade & Festival is coordinating efforts with Puerto Ricans in Action. It established a network of donation drop-off sites at Puerto Rican-owned businesses from L.A. to Orange County. Whatever they collect will get shipped out once a week. "We're gonna be sending out shipments every Monday, but this week they said we could get one out Thursday, whatever we have at the time," says organizer Nicky Caludio. President Trump plans to visit Puerto Rico next week. When asked if the federal response has been fast enough, Nicole Hernandez chooses her word carefully. "Response has been ...," her voice trails off, and she pauses. "Puerto Rico is still a colony and that's how it's always been treated," says Hernandez. Island residents may be U.S. citizens and may pay the same rate in taxes for things like Medicare -- yet many feel they get less in return when compared with the 50 states. That's in addition to a host of other woes, like a crushing economic crisis, double-digit unemployment and neglected infrastructure repairs. A pair of monstrous hurricanes was the last thing the island needed. "So, I think Maria just took the bottom out of people that have already been in a free fall," says Hernandez. After speaking with her father, Hernandez says she’ll probably postpone plans to visit. Or maybe, like his daughter and scores of other Puerto Ricans in recent years, he’ll come to the mainland instead.